There has been a proliferation of opinions over the recent tabling and passing of the Sedition (Amendment) Bill 2015. The Bill, now an Act, now merely awaits Royal Assent before being gazetted as law. These opinions, mostly negative, have seen some of those opposed to the Sedition Act quote and give credence, as well as much weightage to their arguments based on comparison with the abolition of sedition laws in various foreign countries, in particular the United Kingdom (UK). In gist, the article by KPUM speaks of the British origin of Malaysian sedition laws and does a fair bit of work engaging and expanding on the history of sedition law in the UK as well as how the British have evolved away from their brand of sedition law to enable livelier practice of human rights and freedoms. It is easy to have a blinkered view of the discussion especially when comparisons are made between other nations and are deliberately designed to make our laws look inferior to the laws in such other countries. Even after 58 years of Merdeka, it seems that the practice and custom of Great Britain still hold so much sway over the way Malaysia evolves. While it is not our place to critically examine the political, legal or sociological decisions made in the UK, it is however, of great interest whenever any groups of Malaysian citizens draw support for their idea from abroad. Wholesale acceptance without critical evaluation of what is practised in other states amounts to, in our view, the undermining of our sovereignty. Those who oppose the existence of sedition law often cite the need for freedom of speech as a reason to abolish the same. On one hand, it is amazing to note that the British citizens seem to enjoy so much more freedom of speech than us Malaysians do. On the other hand, however, let’s recognise that freedom on paper is never the same as actual freedom. It boils down to one question: Does the absence of sedition law automatically mean that citizens speak and live more freely? While the British are free to insult their government to their hearts’ content and not worry about the restricting limits of any sedition law, it is harrowing to note that the UK has ones of the highest numbers of surveillance cameras installed to monitor its citizens. 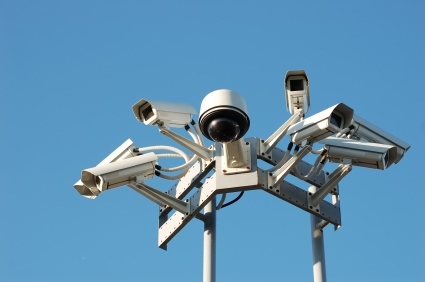 In 2002, the British Home Office spent £1.25 million (RM6.76m) to set up surveillance facility which included some 52,000 units of CCTV cameras installed all over the UK. In 2006, their Parliament amended their Public Order Act 1986 with the Racial and Religious Hatred Act 2006 to deal specifically with hate speech on the basis of racial origin or religious practice. Yet even with all these cameras keeping watchful eye over the British public and with legislation in place against such crimes, hate-crimes remain high in the UK with 1,468 allegations of racially or religiously aggravated offences committed on railways, reported in 2014. In addition to this, in July 2014, the British Parliament passed the Data Retention and Investigatory Powers Act to ensure the police and security services retain existing powers to access telephone and internet records. It may sit well with the British citizens that their government is listening to their speeches and that every phone call, text message, email and website visit made by private citizens is available for monitoring by government agencies but here in Malaysian we at least regard our privacy and personal liberties as being important. Perhaps the British government does not see itself as an oppressive regime that needs to curb any dissenting view against it simply because the government has means to know of the view even before it is made. After all, why would the British citizens have to worry about sedition laws when they constantly have the Big Brother’s watchful eye on them? Is it not counter-productive for a government to relax one law while tightening its grasp on more intrusive ones? Certainly this is not what Malaysia envisions itself to be. In exchange for wider freedoms, the British citizens have sacrificed and compromised their personal liberties instead. It is not the time for Malaysians to follow suit, and if it can be helped, there will never be a time for so. It is thoroughly unbecoming for a members of society to persist in articulating jaundiced views without wholly understanding the sociological need of the laws in a particular nation that continue to develop to fit the constant evolution of its societal machinery. Thus, the author says this to those who continue to cite foreign supports in view of their needs for wider freedoms: Thank you, sir but no thanks. Freedom always comes with a price and my personal liberty may be too high a price to stake. I, for one, much prefer that a law exists against my making racially or religiously motivated hate speeches rather than having cameras monitoring what I say and do from my front door. * Fatihah Jamhari is a lawyer practising in Kuala Lumpur and an activist member of Concerned Lawyers for Justice (CLJ). April 22, 2015 in Freedom of Speech, Human Rights.